North Wildwood -The City of North Wildwood announces that the week of April 8th through April 12th is designated “Awareness / Preparedness Week”. During that week, various municipal departments will test their preparedness for storm and other emergencies, as well as put out preparedness information for the public on their websites and social media accounts. Throughout the course of Awareness / Preparedness week, departments will review their storm and emergency policies, inventory shelter capabilities, and test the operations of their assigned storm vehicles. Exercises and topics of discussion will also include: the operation of buildings generators, interoperability testing of radios, the Code Red Emergency Communication System, posting emergency messages on 1640AM, and a review of the NJ Register Ready special needs list. 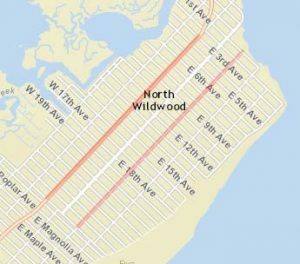 Furthermore, by mid-week all the departments will take part in a table top exercise on preparedness that will take place at North Wildwood Recreation Center. Testing of the Tornado siren will take place on Tuesday, April 9th, 11:00AM and a testing of the Evacuation Siren will take place on Wednesday, April 10th, 11:00AM. City-wide Code Red Messages will also be sent prior to the sounding of the sirens to test the system. The public need not be alarmed, as these are only exercises to test out the system and make sure everything is working properly. Mayor, Emergency Management Coordinator, and Public Safety Director, Patrick Rosenello stated, “Living on a barrier island, natural disasters are always real threats, with the most common being coastal storms. This annual Awareness/Preparedness week will not only assist our City departments’ storm preparedness prior to the summer season, but we also hope that residents take time during this week to review their own personal preparedness plans.” As we get closer to the events, additional information including a schedule will be posted on the City website: http://www.northwildwood.com , the emergency management website: http://ready.northwildwood.com , and the individual department social media accounts. For those residents that want to learn more about Preparedness this page – http://ready.northwildwood.com is your source for everything you will need. Take a moment to review the Be Prepared page which is available by clicking the “Be Prepared” at the top of the page or on the link located at the right hand side. The Links on the left hand side under the title “Important Links” are mostly weather related links but one you should visit is the “NWOEM Brochure” which is a brochure featuring preparedness and information on our emergency notification systems. Another important page is the NWOEM Facebook page which is updated more frequently than this page. Code Red is the Emergency Communications Network that the City of North Wildwood uses to notify the residents of emergencies that are taking place in North Wildwood. It is used most frequently for flooding from rain and tidal flooding. In 2018 it was used 27 times for tidal flooding and 28 times for flooding from rain with an additional five storm specific messages. The system is geographic based in that you will receive messages based on your address. For example those people living on the East side of town probably only receive one or two messages a year while those on the West side of town, that is prone to flooding, will receive the most messages. The Code Red ECN is a web based system that utilizes messages created by the Office of Emergency Management. The Police and Fire Departments also have the ability to create and send messages. Most messages are sent by the Police Dispatch at the request of Emergency Management or the Police Shift supervisor. During emergencies the messages have to be put out quickly and to have consistency in wording the messages that you receive are pre-made as a Scenario, which is simply a message connected to a geographic audience. Currently there are six pre-made Scenarios (1) Initial Street flooding from Rain, (2) Street Flooding from Rain with flood siren sounded, (3) Initial tidal flooding, (4) tidal flooding with flood siren sounded (5) Tornado Siren Sounded, and (5) Snow Emergency route notice. Later we will explain more about these scenarios. Other uses for Code Red are for emergency warnings from Police and Fire. For example if there was a chemical or natural gas leak the fire department could notify all residents within, say 500 feet of the leak, to shelter in place and close all windows. If there was hostage or active shooter situation the police department could notify all the properties within, say 1000 feet of the incident to lock their doors and stay away from windows. Other uses could be evacuation notice, shelter openings, when to listen to 1640 AM for a longer message, where to get assistance, alternative phone numbers to call when the main number is down, etc. The Code Red ECN can send messages via several different platforms – the first is voice message as a phone call, the second is TDD (Telecommunications Device for the Deaf), E-mail, Code Red Mobile App, Text and Facebook. All messages will be the same except Text which has to be reduced to 160 characters. How do you sign up – All Verizon (hard line) and Comcast (hard line) phones are in the system and are updated on a regular basis automatically (usually monthly). You have the option to logon on to the Code Red ECN website and add your email address, other phone numbers (cell phone, other family members, out of town phone) and you have the option to sign up for text messages, TDD messages and severe weather warnings. Severe Weather Warnings is an additional service from Code Red ECN that the City of North Wildwood pays for and sends National Weather Service severe weather warnings via the Code Red ECN system. Currently they offer Tornado, Severe Thunderstorm and Flash Flood Warnings only. This is a free opt in service that you have to sign up for online. To visit the North Wildwood Code Red signup site go to http://ready.northwildwood.com and the Code Red link is on the left hand side at the top of the link list. We urge you to create a password when you log in so that you can go back and add or delete numbers and email addresses. If you forgot if you signed up or not – simply do it again as the Code Red system will cull out duplicates and only send one message for each different number. When you move out of the area but keep your home phone number the change will be caught in the next Comcast / Verizon update. However if you signed up your cell phones and email addresses you have to go in and delete them. If you did not create an account so you can go back and delete your number we have the ability to block calls to a number and ask you to call the emergency management number and leave a message with name and voice number or text number or email address you want off the list. Occasionally we have people that don’t want flood messages – we no ability to tell the system what messages go to what number – it is either all or none. In fact we have no ability to see what numbers are in the system. We ask those people that want their number to be blocked to reconsider as you may miss an important emergency call. The snow emergency route message only goes to those people on New Jersey and Atlantic Avenues. Lastly, the Cape May County Office of Emergency Management also has a contract with Code Red ECN to deliver emergency messages to residents of the County. The same Code Red ECN database that we use and you added your additional numbers to is used for their messages. This will be utilized during major events that are affecting multiple municipalities. As we enter 2019 it is probably helpful to new viewers of the website to remind everyone of the resources that are available on this Website that can make a difference. Starting below the masthead at the top of the page the navigation bar which starts with HOME which is the page that you are currently on, next is BE PREPARED which brings you to the Be Prepared page which will fill the center portion of the page with Preparedness links (more about them later) and lastly CITY OF NORTH WILDWOOD WEBSITE which brings you to the main City of North Wildwood Website. Emergency information from the city will be posted is the center section marked BREAKING NEWS. Back to the Ready.NorthWildwood.com website – the center section is updated about 12-15 times a year and will generally have a preparedness theme rather than breaking news which is posted on the Emergency Management FACEBOOK page. On the Right side is a box that you can sign up to receive updates to this website (that is anytime the center section is updated) below that is box with a link to sign up for the CODE RED Emergency Communication System that the City uses and below that is a box with the BE PREPARED link which changes the center to show Preparedness links (Same page as the BE PREPARED link at the top of page goes to). 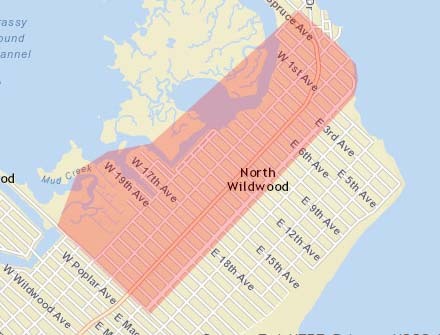 CODE RED Emergency Communications Network brings you to the Code Red sign up page for North Wildwood where you can add your cell phone and other phone numbers other than the hard line Verizon and Comcast numbers which are automatically entered in the system. National Hurricane Center – brings you to the National Hurricane Center where you’ll find the latest updates on hurricanes that may affect our area. NWS Weather for North Wildwood – This will bring you to the National Weather forecast for North Wildwood. Whenever you hear of a Watch or Warning issued for our area when you follow this link to show the weather for North Wildwood it will also display a link to the text portion of the Watch or Warning. Reading the text portions will show specific information such as snow or flood heights or timing for the storm to reach a specific town. NWS EMERGENCY MANAGER BRIEFING – This link will display the latest NWS Briefing for Emergency Managers – just note if there is no briefing issued the last briefing will be posted so if we haven’t had a major storm in a few months the briefing from several month ago will be displayed. Not every storm warrants a briefing. During a storm a briefing will tell you when the next one will be issued. Weather Underground website – this brings you the Weather Underground weather map which shows data from personal weather stations that are connected to the Internet. North Wildwood currently has two such weather stations one at 10th and Delaware and the other at 22nd and Surf Avenues. Both are good for local weather conditions but remember these are often inexpensive weather stations and depending on where they are located in relation to the house they readings can be slightly different in their measurements. Tornado Chasers weather map – For severe weather followers this takes to a webpage that has a US map with the weather displayed on it along with icons for vehicles with live weather cams. Unless there is a chance of tornadoes there may not be any watchers broadcasting live. Intellicast weather map – Brings you to a National Weather map showing weather radar for the US along with many drop downs for different views of weather conditions. A good resource for those interested in Weather. Earthquake website Brings you to the US Geological Survey website where it shows you the latest earthquakes and if there was one in our area you can enter a “Felt” report online. There are far more earthquakes than you hear of on the news. Space weather (for solar flares, CME’s, etc.) – Space weather is a great place to find out what is happening in the sky, such as auroras, eclipses, aviation radiation, sun spots and much more. Good resource for those that want to know. City of North Wildwood Weather Station and tide gauge – This link brings you to the North Wildwood weather station and tide gauge located at the Boat Ramp at 5th and the bay. This is a professional weather station and tide gauge maintained by the city. The tide gauge reading are in the MLLW (Mean Low Low Water) datum that is used the by the National Weather Service when they predict tidal flooding. 2019 Tide Charts These are the tide height predictions from NOAA and are for Nummy Island which is the area behind North Wildwood closest to the tide gauge. NWOEM Brochure – This is a link to the North Wildwood OEM Preparedness brochure that has information that is useful in preparedness planning. The brochure can be read on line, downloaded and printed out. New Jersey OEM Hurricane Survival Guide This brings you to the NJ OEM Hurricane Survival Guide that can be downloaded or printed out for reference. CAPE MAY COUNTY EVACUATION ROUTES – This is a map of the designated Cape May County Evacuation routes. National Ready website – The National Ready Website – great information and source of much of our preparedness information. CDC Winter Storm Checklist – The Center for Disease Control winter storm checklist. On this page is links to other situations such as what to do if a volcano erupted and much more. Tornado Preparedness Checklist – Another thing that can affect us is tornadoes and this will bring you to the CDC tornado Checklist page directly. NJ Register Ready – This brings you to NJ Register Ready website where people with Special Needs should register so that in the event of an emergency first responders can check to find who may have special needs and respond accordingly. It hoped by providing explanations of the links that you may take the opportunity to explore the links to help you in your quest to be prepared for the next emergency. One of the things that the Office of Emergency Management is concerned with is Tidal Flooding Awareness, that is residents knowing what predicted tidal flooding means to their neighborhood and property. The County Office of Emergency Management has developed a tool that the resident’s in Cape May County can use. The website is located HERE (click to go) before you go there it would be helpful to have a better understand how it works and what it’s based on. The county mapping office and an outside vendor came up with this webpage which uses elevation data obtained by LIDAR readings which were taken several years ago by a over flight of the area where radio beams were bounced off the ground and the difference in micro-seconds of the beam bouncing back determines the elevation of the surface. As the LIDAR measurements were in the NAVD88 datum to get them in the MLLW references you have to use the local National Geological Survey reference point which gives you the differences between datums. North Wildwood uses the NGS Tide Elevation Benchmark for Station 8535835 which is located at the Wildwood Crest Fishing Pier. Because the county website uses live data it depends on being connected to a NGS online tide gage the County has divided all the municipalities into three groups and North Wildwood is in the South Group which uses the Cape May tide gauge for it’s reference point. With that the county uses Cape May’s NWS heights for Minor / Moderate / Major tidal flooding, which from our past posts you know that those designations vary from town to town. For example they show minor flooding at 6.2 feet while the NWS shows it at 6.7 feet for North Wildwood. To use the website click on the above link, click on the tab that says “What will the flood look like?”, a new page opens and once you get past the disclaimers the map opens up, next zoom into your neighborhood. Once you have your neighborhood centered on your map, on the right hand side of the page click on the Inundation Layers – South, which will open to show different heights. Check the box of one of the heights. Start with the lowest which is 5.7 feet (above MLLW) at the Cape May Tide Gage. It will show several areas in town in blue with means it may be water covered at a tide of 5.7 feet above MLLW. As many of us that have been around for a while we know that elevation is not always the best prediction of flooding as you can see most areas in blue are not usually water covered at 5.7 feet above MLLW. Looking at the different heights you can see that it shows a larger area than we usually see at the listed tide heights. We know from watching the tides from over the years that you can two flood tides at the same height and you can have two different areas flooded. Tidal flooding is affected by wind speed, wind direction, rate of tide rising, associated low pressure, residual tidal water from the last tide, and rain fall. Flooding by using elevation is affected by bulkheads, storm drain tideflex valves, wind, height of crown of cross streets and rain. Is the map still relevant – YES just remember the areas indicated are at an elevation that will not always be flooded but may get flooded at the indicated tide height. As the last couple of National Weather Service Coastal Flood warnings had tide heights that were under predicted or changed upward at the last minute we decided to update the call area for the Code Red Emergency Notification System. Based on a draft copy of a map produced by the NJDEP utilizing LIDAR surface measurements we expanded the warning area to encompass most of New Jersey Avenue and some sections of side streets in the 100 block East. The old map was based on the areas that received frequent nuisance flooding the new map will include the areas that may receive tidal water during a Moderate flood warning. While the map is based on elevations the area actually flooded depends on many factors such as wind speed, wind direction, timing of wind direction changes associated with the low, operation of tideflex valves, crown height of the N/S streets, if the storm drains are blocked with debris, height of private property bulkheads, rainfall amounts, rate of rainfall, residual water from the last high tide, storm surges caused by a coastal low and rate of rise of the tide. With the expanded area the Code Red flood warning messages will go to 985 more contacts. While most Code Red alerts will be sent for what we categorize as nuisance flooding and will affect only a portion of the call area the expanded area will alert people in those area that may get water. As we are already a month into the new hurricane season and our first tropical storm has been named it is time to check our emergency plans and preparation. We urge everyone to visit the links on the left hand side of this page. They are links listed under BE PREPARED. Preparation is not hard and while most preparation needs will be the same for everyone each person will have to come up with his or her own plan. By visiting the suggested websites and tailoring the information to your specific situation you can check your plans and ultimately will be better prepared. Also today due to the many requests to be added to the flood notification list we have expanded the flood notification to all residents west of New York Avenue from Spruce to 26th Avenues. Phones in these areas will be called and a recorded message will played. There are two messages that can be sent one known as the initial call sent when it appears that flooding will take place and one sent when the siren has been sounded. These phone calls are sent via the CODE RED Community Alert System. Read below to how to add your cell or other phone numbers. REMEMBER this system is used city wide for other notifications so if you are not in the flood prone area you still should visit the CODE RED website and add your alternate phone numbers. On the Code Red website you will be asked if you want to add your email address or receive text messages. We have the ability to duplicate the contents of the voice message into an email and truncated text message. As this will only be used in an emergency why not add all your contact preferences and methods so you can keep informed. Also those with “smart” phones will have the capability to download the Code Red App. At the North Wildwood Office of Emergency Management we feel our central job is to keep communications when the normal systems are failing. Therefore we don’t put one form of communication above another. At times some may seem simplistic in these times of technology however when normal systems fail we will fall back on them. That is why we depend on a fire siren, AM radio and telephone as basic methods of notification. We will be using North Wildwood’s AM1640 as the method of communication that can put the most information out. Please get your self a good AM radio. Remember when there are no emergencies AM 1640 broadcasts special event information – ever wondered what time the free concert starts and who is playing? it is on AM 1640; want to know what the start and end times of the festival in the entertainment district? it’s on AM 1640 as well as the upcoming events for the next several weeks. Subscribe to get updates to this website! © 2019 Office Of Emergency Management. All Rights Reserved.